If you can drag yourself away from Tulum’s palm fringed beaches, I highly recommend that you make your way to one or more of the many nearby cenotes for a day of underwater fun and exploration. For those who don’t know what cenotes are (I was one such person before this trip), they are natural sink holes, formed when a limestone cave collapses, to reveal an underground pool. Some cenotes are completely open, like a lagoon, or entirely covered with a small opening at the top, while others fit somewhere in between. The water, which is either fresh or salt is incredibly clear, making cenotes the perfect environment for snorkelling and diving. Swimming within the beautiful and mysterious underwater world of these natural pools was one of the most thrilling and wondrous experiences Nick and I had while travelling throughout the Yucatán Peninsular. 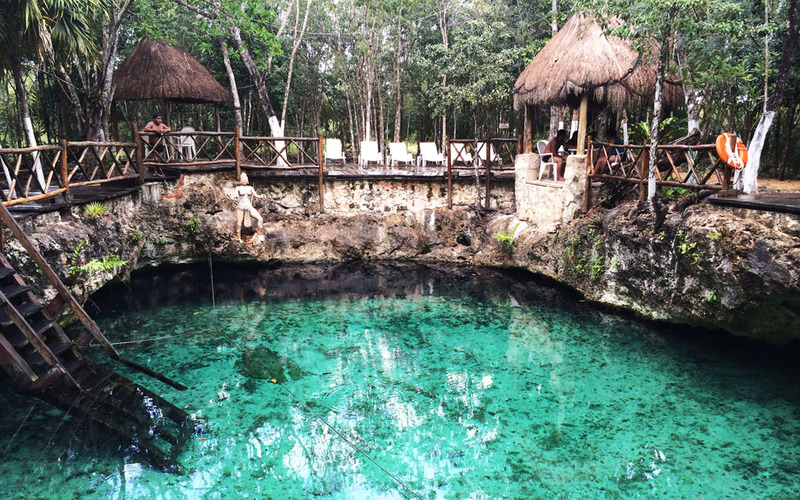 There are thousands of cenotes in the Yucatán and some are as close as 15 minutes down the road from Tulum’s centre. So there really is no excuse not to go. Cenote Dos Ojos, meaning “two eyes” in Spanish, is the world’s third largest underwater cave system, and a must see and swim for snorkelers and divers wanting to explore this unique and fascinating underwater world. 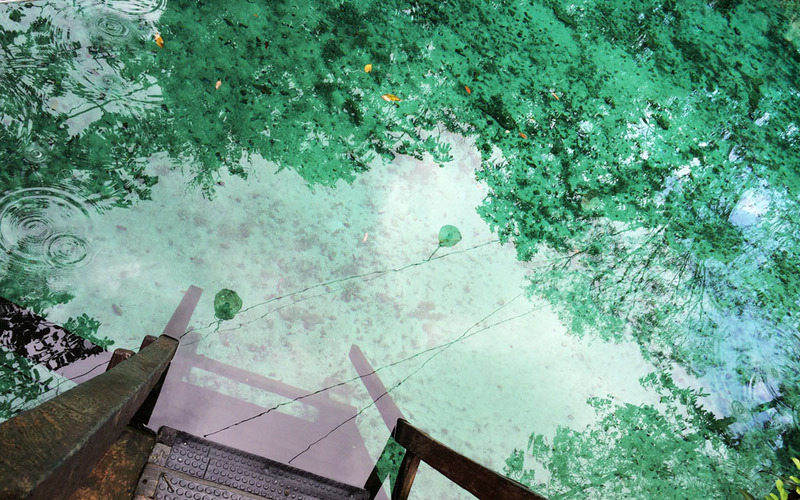 The name Dos Ojos refers to the two adjoining cenotes connected by a large cavern, which are said to resemble a pair of eyes. I highly recommend that you visit both cenotes, as they each offer a unique subterranean landscape. I was absolutely blown away by the beauty and tranquility of Dos Ojos, both above and below the surface of the water. Giant rock shelters shrouded by thick jungle, stunning stalactite formations, and beneath the water a mysterious world of limestone structures, hidden tunnels, and the blackness of the unknown. Although I had been snorkelling many times before, floating through the water at Dos Ojos, was like nothing I had ever experienced. The sensation that occurred was that of resting on water. As I peered through my goggles, at my surrounds it felt as if time suddenly stood still. Motionless, I silently viewed colonies of tiny fish drifting ever so slowly with the gentle flow of the current. An incredible and a truly unforgettable experience! If you’re more of an intrepid adventurer and hold an open water diving certificate, there is also the option to scuba dive. Diving promises the opportunity to see much more as the cenotes are connected by an underground tunnel system, which you can follow from one cenote to another. Located just off the highway on the way to Cobá, this partially sheltered cenote was by far the busiest sink hole Nick and I visited. While the beauty of Gran (Grand) Cenote and its surrounding area can not be denied, I must admit that the boisterous crowds did distract a little from the usually tranquil setting. All was forgiven and forgotten though, as soon as we immersed ourselves in the cool, clear waters of the cenote. An absolute welcomed relief from the sweltering 34 degree (Celsius) heat we were experiencing that day. Similar to other cenotes, Gran Cenote offers fantastic snorkelling and diving, as well as an impressive collection of stalagmites and stalactites, some that are tens of thousands of years old. Nick and had a great time floating through and exploring the large cavernous chambers, from one opening to another. While the stepped entrances into the cenote are lit by streams of sunlight, the further into the caves you go, the darker and more eerie they become. In some sections, our swim was tremendously creepy, thanks to a lack of natural light, the water’s changing temperatures, and a flock of noisy bats hanging (and swooping) overhead. 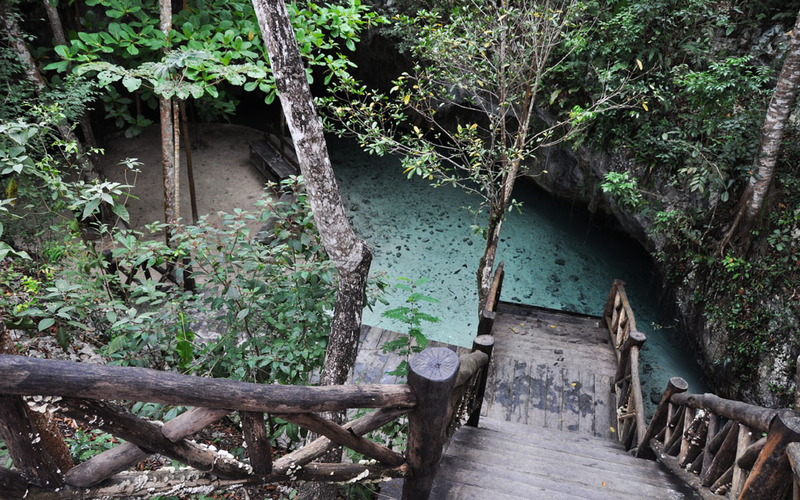 Unlike the other cenotes, mentioned above, Zacil-Ha (meaning ‘clear water’) is small and completely open. It is also less crowded and less ‘showy’. Pulling into the car park it actually felt as if the place had been totally abandoned. There wasn’t even a person at the ticket desk. While admittedly the lack of staff was not a great sign, Nick and I decided to continue down the jungle path. And boy am I glad we did, as we were greeted by a spectacular wide opening and within it an incredibly inviting, turquoise coloured pool. Naturally, Nick and I were quick to get in. And with almost no crowd we only shared the cenote with a family of five, who were thoroughly enjoying themselves summersaulting and back flipping off the jumping platform into the crystal clear water below. I still can’t get over how beautiful Zacil-Ha was. We stayed for about half an hour or so, although we could have easily stayed longer had it not been for the sudden burst of torrential rain. In addition to the cenote, Zacil-Ha has changing rooms, outdoor showers, a small canteen, rental equipment, sun beds, cabanas, and plenty of shade from the surrounding trees. So you can really make a day of it. Now, as for the missing staff, they were there. They just all happened to be huddled under a cabana eating lunch when we arrived. If you end up snorkelling and don’t have the gear, hire beforehand at either the hotel you’re staying at or a local dive shop. That way you don’t have to keep paying for equipment at every new spot. Getting There: From Tulum you can take a collectivo (mini bus) for M$25 ($2 USD) heading north and get dropped at the entrance. Admission into the cenote costs M$100 ($8 USD) per person. Getting There: A taxi from downtown Tulum costs around M$60 ($5 USD). The entrance fee for one adult is M$100 ($8 USD). 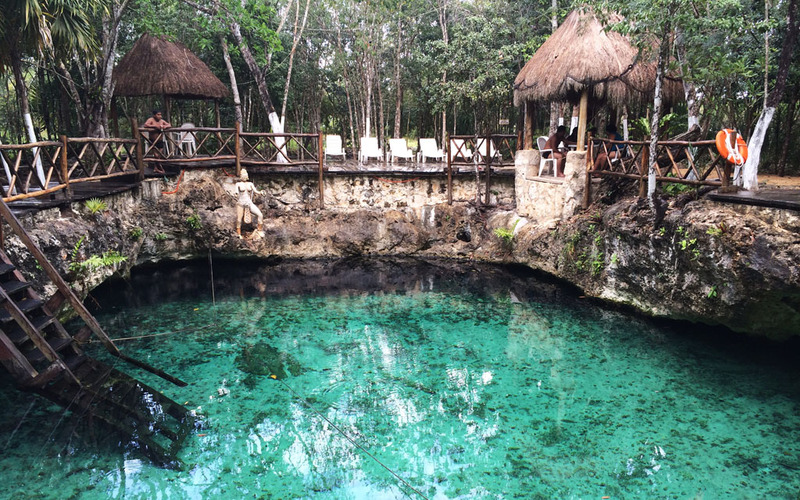 Getting There: Located 2 km's west of Gran Cenote, sits Zacil-Ha. So please check the getting there info for Gran Cenote. One adult ticket costs M$50 ($4 USD). The ruins of Tulum lie three kilometres northeast of the town centre, and sit dramatically between the jungle and the Caribbean sea. Built around AD 1200 by the Maya (indigenous inhabitants of present day Mexico), the walled settlement is an extremely important site and major point of interest in Mexico. Not only is it one of the last cities built and inhabited by the Maya but it is also one of the best preserved Maya sites. 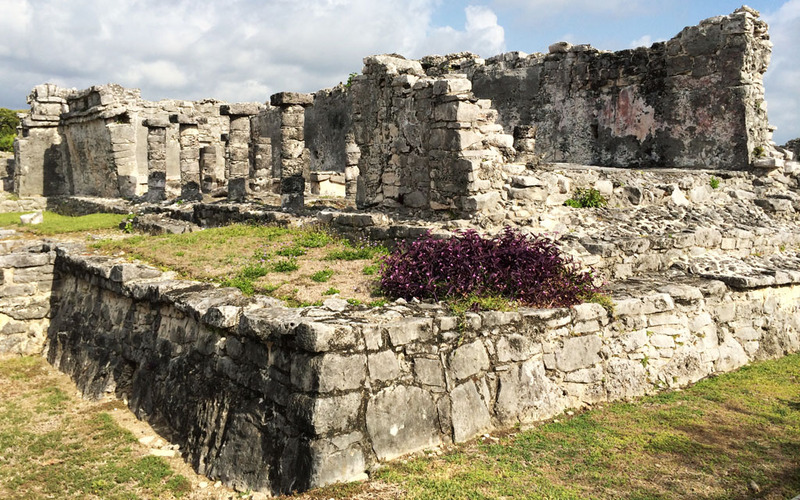 At its height (between the 13th and 15th century), Tulum was a flourishing commercial trade port, however by the end the 16th century the site was abandoned completely. A mystery which, along with the decline of the Maya world, still puzzles historians and archeologists today. While the architecture resembles that of other Maya sites, the scale of the city is far smaller and not as grand. That said, the structures that remain are truly impressive and provide a valuable glimpse into the living conditions of the Maya civilisation. The area where the ruins lie is relatively compact, so you can gain a fair appreciation of the historical buildings in about an hour or so. What will make or break your visit however, is your arrival time. The site is open between 8am and 5pm. From 9am tour buses fill the car park, dropping off a constant stream of visitors. Therefore, I strongly suggest heading to the site at 8am when the gates open. The early start will almost certainly guarantee an empty lot. Well, apart from a handful of other early risers and a colony of sun seeking iguanas. Otherwise, wait until the end of the day when all the tour buses have left. 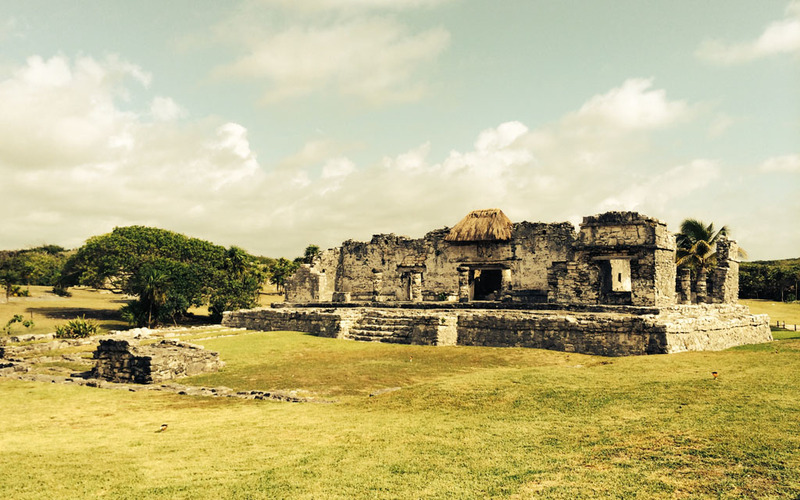 An incredibly important historical Maya site, situated on cliffs of Tulum overlooking the Caribbean sea. 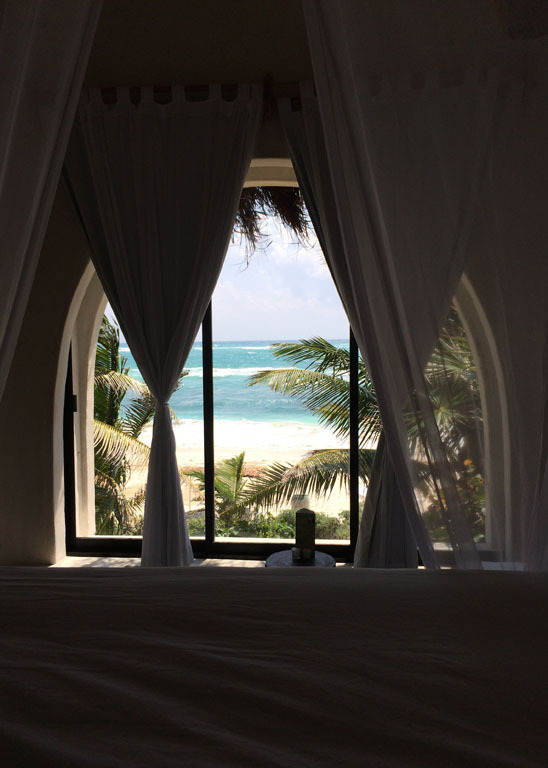 From luxury hotels to rustic cabañas, Tulum offers visitors a range of accommodation types, fit for every budget. Having stayed at my fair share of hostels I can honestly say that Mango Tulum is truly a budget-conscious travellers dream. Affordable, secure, comfortable and exceptionally clean. There’s even a beautifully kept garden, an inviting outdoor pool and what seems like a never ending supply of cake! The owner Mark is a wonderful host. He is warm, welcoming, and has a wealth of knowledge about the local area, which he is more than happy to share with his guests. Every recommendation Nick and I received from Mark, whether is was a suggestion on where to eat or advice on how to avoid the crowds at nearby tourist sites, was absolutely spot on. Located near the centre of town, Mango Tulum is a great place to base yourself while exploring Tulum and surrounds, where you’ll find ruins, beaches and cenotes (natural sink holes). It’s definitely the type of place that you book for three nights and end up staying an entire week. 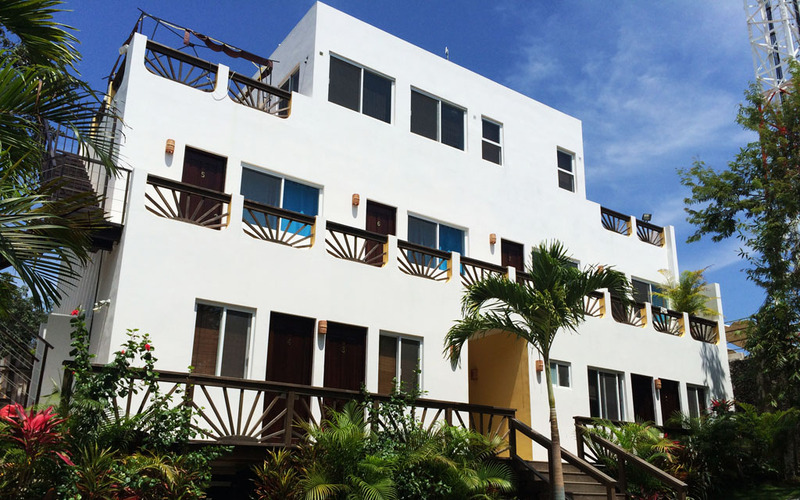 With only a handful of private and 4 person dorm rooms, Mango Tulum is not an overly big place. As such the hotel has an extremely peaceful and laid back vibe. Nick and I thoroughly enjoyed our time at Mango Tulum (7 nights in total), so much so that we did not want to leave. Papaya Playa Project (PPP) is an eco-friendly resort, surrounded by thick jungle, on an unspoilt stretch of the Caribbean coastline. Lured by photos on the internet of PPP’s palm fringed beach and thatched roofed huts, Nick and I could not resist booking a couple of nights. We justified this uncharacteristic splurge on accommodation, as the nights we intended to stay fell over ‘birthday week’. Also we told ourselves that PPP would provide us with ‘a much needed’ break from the string of hostels and budget hotels we had already booked. Needless to say we had a truly fabulous stay, which was made even better by our free room upgrade! Over the few days we stayed at PPP, Nick and I didn’t do all that much, but that’s the whole point of staying at a place like this. We lapped up the gorgeous surrounds and the incredible views, and happily gave into temptation, spending our days eating and reading, before heading to the beach again. While we were fortunate to stay in one of the cabañas sprawled along the ocean front, not all of the resort’s lodgings are. Some are a little further back, reached by a garden path, while others are perched atop the coastline’s natural rocky ledge. Some of the bungalows are simple wooden huts, while others are more flashy, high arched villa type abodes. Whatever the case you are sure to have a splendid time at PPP! 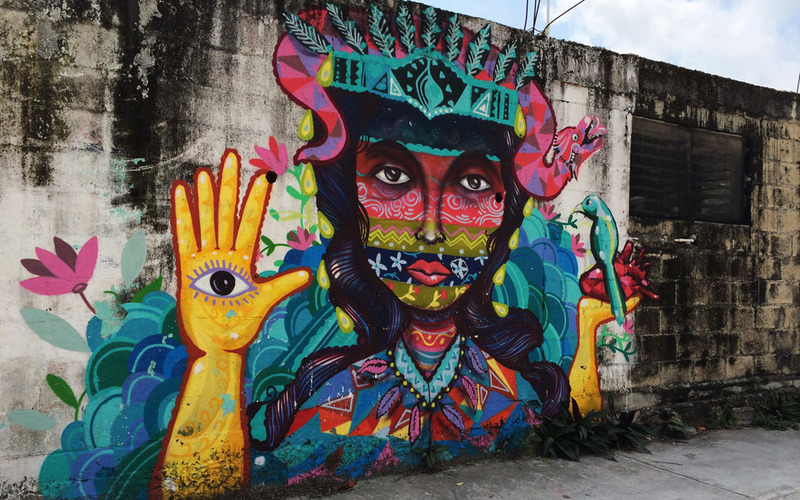 Before arriving in Tulum, I had heard and read nothing but great things about this town. As such, I was worried that I had built my expectations too high and therefore set myself up for disappointment. Fortunately, as it would turn out, Tulum exceeded all my expectations and became my favourite spot along the Yucatán. Let me tell you why. Located about 130 kilometres south of Cancún, Tulum is a small, modest town with, a spectacular coastline, impressive Maya ruins, excellent local eateries and a laid back lifestyle. It is Tulum’s magnificent rugged coastline, gorgeous beaches, green turquoise waters, lush jungle, warm Caribbean breezes and rich Maya history, that makes it the ultimate spot for those seeking sun and relaxation, as well as a dose of Maya culture. While Tulum has certainly seen a spike in tourism in recent years, it has proudly held on to its small town charm. Sure, there has been some development, especially along the beach in the form of hotels and beach clubs, but thanks to building restrictions they are all low rise and low density. 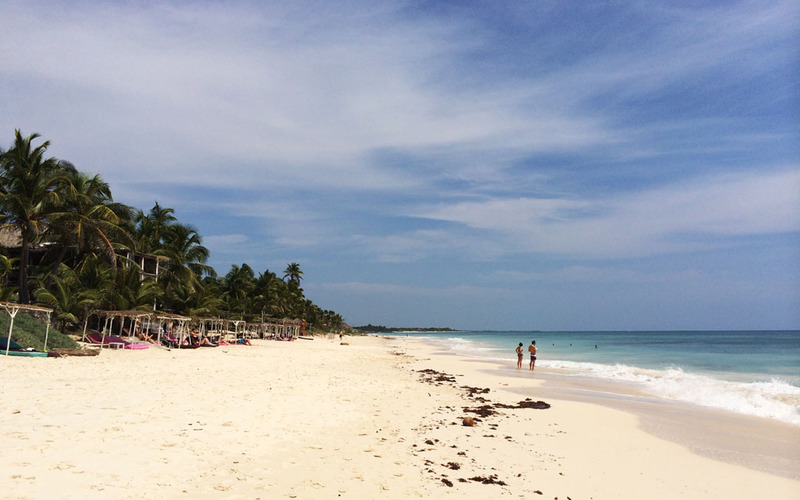 I was absolutely thrilled to discover that Tulum’s stretches of pristine white sand were nowhere near as as built up or as busy as they were in Playa del Carmen. In comparison Tulum’s beaches (particularly Papaya Playa) were positively dreamy and untouched, and somehow even more stunning than the others we’d already visited along the Maya Rivera. Papaya Playa’s beauty made it impossible to want to do anything other than swim and lay the days aways, however with a stack of sights and attractions nearby (more details further on), Tulum also kept Nick and I busy and on the move. 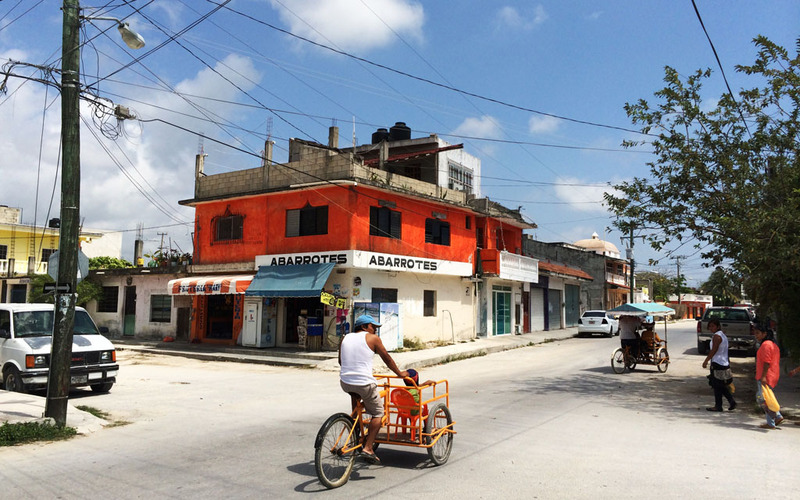 Furthermore, I was delighted to see that Tulum’s township, which stretches itself along the main highway (making it feel more like a truck stop than the centre of town), had an extremely local feel to it. Apart from a handful of souvenir shops, the rest of the businesses were small eateries, bars and convenience stores. Also to my relief, Tulum turned out to be the perfect place for Nick and I to base ourselves for ten nights. There’s always a fear when choosing to spend such a big chuck of time somewhere new, that it could wind up being disastrous. However, with Tulum’s sand, surf and proximity to a number of Maya ruins and cenotes (natural sink holes), it couldn’t have worked out better. Neither could our accommodation. Nick and I split our time between two hotels. Mango Tulum near the town’s centre and Papaya Playa Project, located on Tulum’s beachfront. 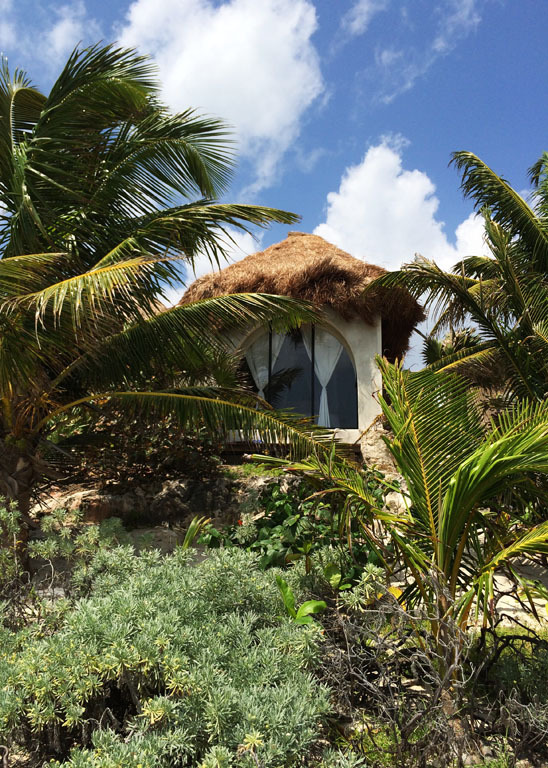 While the two hotels were certainly very different in terms of their cost and character, both were fantastic and let us experience two distinct areas of Tulum. Staying near the centre of town meant that we were within easy walking distance to some of Tulum’s best restaurants, while staying on the beach meant that we were footsteps away from the ocean. While public transport, in the form of taxis and small vans (colectivos) is frequent and reliable, Nick and I decided the best way for us to get around was to hire a car. So hire a car we did! It was a great decision as it meant that we were not limited by a bus schedule and could come and go as we pleased. 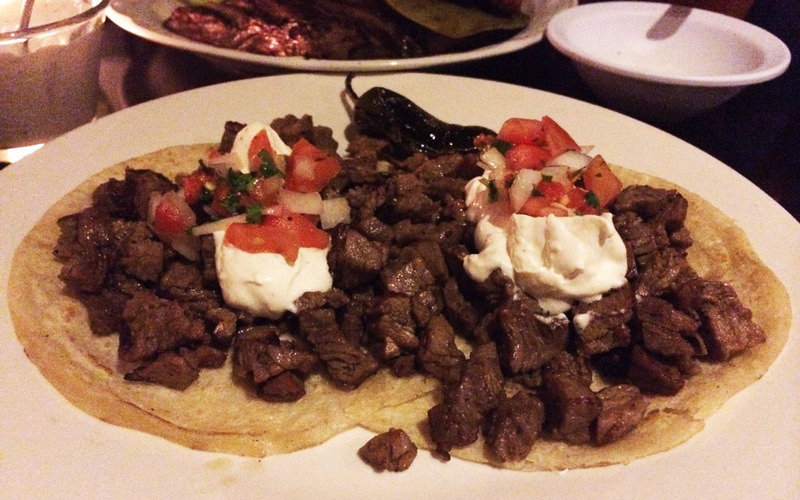 Another reason why I loved Tulum so much was the food, both the quality and the affordability. Often at the end of a meal Nick and I would find ourselves saying, we would have paid triple the price or even more back in New York. Although our diet mainly consisted of tacos, fajitas and quesadillas (plus the odd moijto), we ate at a variety of places, from street carts to more established restaurants. A few food highlights were the perfectly grilled beef tacos at El Asadero, the sizzling chicken fajitas at La Coqueta, and some ridiculously cheap and tasty quesadillas from a tiny food stand on Satelite Street. So, as you can see Tulum really has a lot to offer, especially for those who are in search of sun, salt and sand, without the crowds of Playa del Carmen and the excessiveness of Cancún. Nick and I both agree that it has been the highlight of our trip thus far. 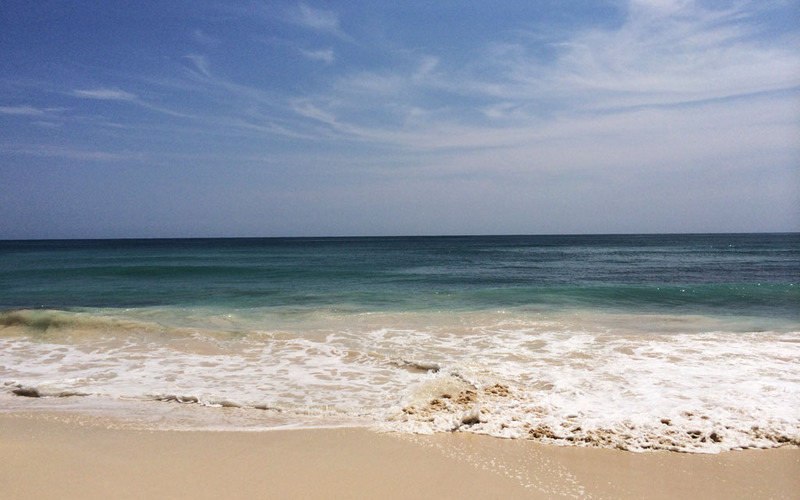 If you’re contemplating travelling to Tulum, do it! It is a must for any visitor to Mexico! 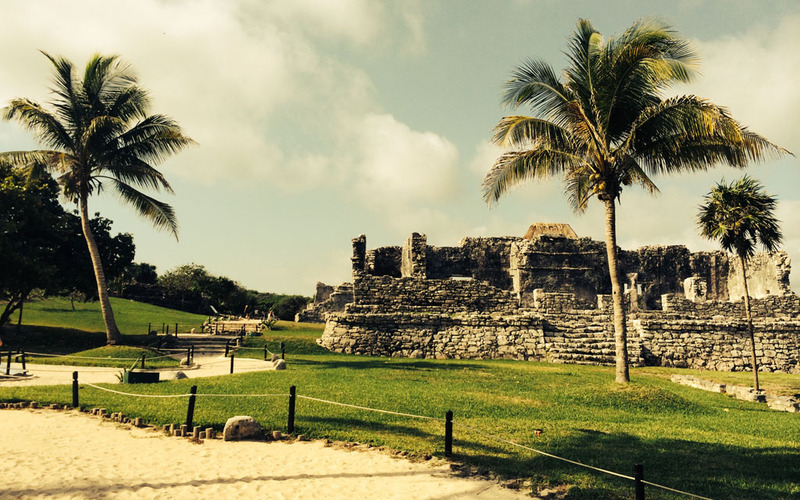 Tulum not only refers to the town, but also to the beach and the ruins. The beach is actually located 5 kilometres east of the town centre and is accessible by foot, bike or car (taxi). Located 130 km's south of Cancun. A stunning stretch of pristine white sand and magnificently blue sea.